Located in the heart of Abu Dhabi, Mushrif Mall, in collaboration with Department of Transport (DoT) represented by the Integrated Transport Center (ITC) in Abu Dhabi announced the implementation of a free bus service to and from nearby areas in a bid to reduce traffic congestion and enhance community comfort and happiness. As part of a community outreach campaign on sustainability, the initiative is inspired to improve the quality of services for public transport by adopting a focused, integrated and sustainable infrastructure set up by the Mushrif Mall and endorsed by DoT and its commitment to champion innovative solutions in eco transport around Abu Dhabi. Al Muhairi added that the new bus service launched in Mushrif Mall aims to decrease the traffic congestion in the areas around the shopping mall. The service will include three routes in its first phase and will operate within 10km in the surrounding area. The Bus Transport Team from the ITC worked closely with Mushrif Mall team to identify the routes and bus stops needed to meet the public demand. He added that this service is expected to attract many of the residents in the neighboring area. In addition to the signing of a Memorandum of Understanding with DoT and the flag off of the bus service at the launch, the mall also unveiled the route map of the buses at the entrance of the mall forcustomer ease and convenience. The free community bus service will be operated from Mushrif Mall and cover the catchment of the surrounding area as well asevaluate the customers’ feedback and satisfaction to improve the bus service further. The bus service is a CSR initiative of Mushrif Mall offering alternative and innovative solutions to reduce traffic congestion in the nearby communities. For ultimate relaxation, Oman is the best place to head out to in the Middle East – from here in Dubai, it usually takes me a minimum of 6 hours to get Muscat so going to Musandam or Khasab is even faster. I love Khasab and Musandam as it reminds me of the tranquility back in Fiji and now I have more reasons to enjoy peace weekends with the new Atana Hotels in the area. Travellers will be delighted to know that Atana Hotels will operate in Oman, focusing on traditional Omani hospitality at an international standard, in the Governorate of Musandam, Khasab, Oman. With two diverse hotels, Atana offers a gateway to the delights of the Musandam peninsula for families and adventure-seekers and a window into the diverse culture and traditions of the community. Guests at Atana Hotels will find that the culture of Oman, interwoven with contemporary elements is celebrated from the design and layout of the buildings, clustered around a courtyard and ‘oasis’, to the Omani flavours in the restaurant, enhanced by the cultural activities on offer in the hotels. Enjoying colourful landscapes, spanning green mountains to azure seas; its welcoming people and their communities, Atana Hotels supports local initiatives and the community in a variety of ways. 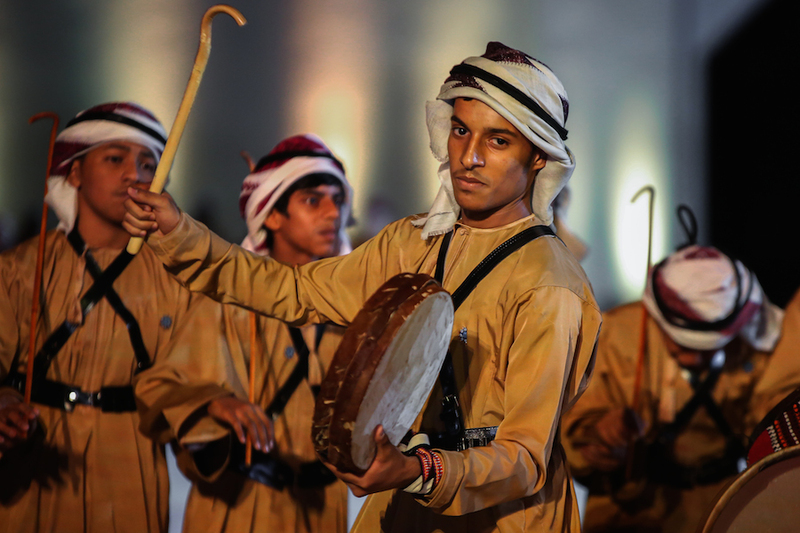 Newly introduced for 2016 are weekly cultural nights at Atana Musandam, featuring Omani artists and musicians showcasing their work with an Oud player and local ladies demonstrating the preparation of traditional Omani desserts, with the opportunity for guests to sample the unique flavours as well as learn how to prepare the recipes handed down through generations. Toiletries provided in the rooms and suites are sourced and produced in Oman by Al Husn Toiletries, and the laundry bags are hand-crafted by local women from the Khasab Women’s Association, supporting the colourful textile cottage industry which is still very much part of the local community. For added ambience, Omani’s in traditional dress light torches around the courtyard at sunset, guests can relax over coffee and dates whilst listening to the performance of an oud player, indulge in henna painting and breathe in the scented aromas of the bakhour (perfumed incense) spread around the courtyard to greet the starry nights of the region. Food lovers in Abu Dhabi can now head to Traders Hotel to experience culinary delights by Ricky Rimenda Agustiana, the new Executive Sous Chef who brings more than seventeen years of varied culinary experience to the capital from across the globe. Prior to the appointment he was at Shangri-La Qaryat Al Beri, Abu Dhabi, at the award-winning Pearls and Caviar. With previous Shangri-La experience Ricky knows the standard that has to be upheld throughout the company and outlets. Ricky comes to Abu Dhabi with five years of experience from Dubai, UAE, where he worked in a luxury 5-star resort and excelled in his role. Before relocating to the Middle East, Ricky worked in Asia and the USA where he gained invaluable culinary experience. Ricky started his career in Singapore and Indonesia, before relocating to New York. Following two years in the Big Apple, Ricky was promoted to Chef de Partie in the sister company in Florida. Let me know what you thought of his culinary creations. Its hot and I just feel like staying in a luxurious room all day fasting, reading and chilling while fasting – so I started looking at local hotel offers not that my work schedule will allow even a day off but loved the pictures from Kempinski Hotel & Residences Palm Jumeirah – They just unveiled new offers for the summer for guests from the UAE and other countries including lower prices on suites and villas and free breakfast. 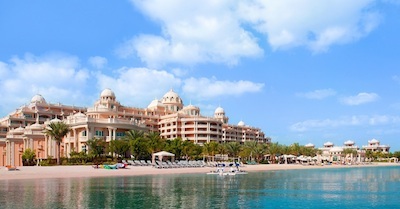 The offers, which are valid until September 2015 , also involve large discounts on services at the SPA and other facilities as well as internet, children’s club and free transport to and from Emirates Mall. 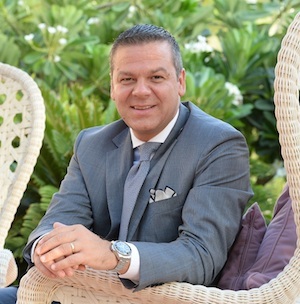 The hotel is ready to receive families and other guests from the UAE and the remaining GCC countries to enjoy summer and spend quiet holidays in a luxurious atmosphere, according to the hotel’s general manager Mr Alessandro Redaeli. 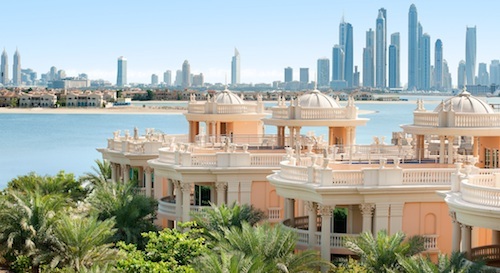 Kempinski Hotel & Residences Palm Jumeirah, the fourth royal-style building on Jumeirah Palm, comprises 244 suites and pent houses, has an advanced SPA, a large number of restaurants and bars, other facilities, as well as a clean 500-metre beach strip. If I do decide on a staycation in the next 2 weeks, this place is definitely an option. Mastihashop is a new Dubai department store experience with a cosy Boutique Café feel combined to offer an immersive social experience. 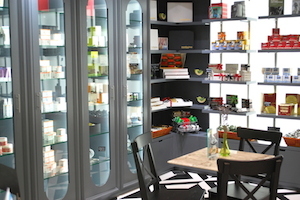 Located in Aswaaq Mall on Al Wasl Road in Jumeirah 1, the Mastihashop collection reflects the modernization of traditional food remedies that include Mastiha/Mastic infused chocolates, sweets, savoury products, cosmetics and skincare, pharmaceuticals, gifts as well as exotic coffee, ice cream, desserts and milkshakes. 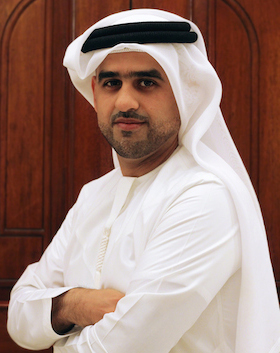 Inspired and intriguedby the powerful healing qualities of Mastiha or Mastic and warm memories of his grandmother using Mastic for ailments, local entrepreneur, Mansoor Al Bastaki has embarked on a journey that has brought Mastihashop and its popular products into the UAE. Mastiha/Mastic is a natural and rare tree resin, which has proven to have health benefits with its anti-oxidant, anti-bacterial and anti-inflammatory qualities. Any raw Mastiha found around the world originates in only one place in Greece, in Chios Islands and Mastiha Shop is the sole supplier of the Mastiha raw resins. Under the creative direction of the parent brand, Mastihashop in the UAE has evolved with Mansoor Al Bastaki, Founder and Director of Mastihashop at the helm. 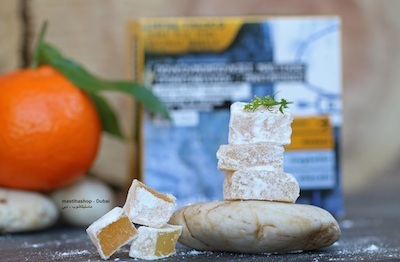 The exotic Mastihashop collection reflects the modernization of traditional food remedies and include Mastic infused chocolates, sweets, savoury products, cosmetics and skincare, pharmaceuticals, gifts as well as exotic coffee, ice cream, desserts and milkshakes. 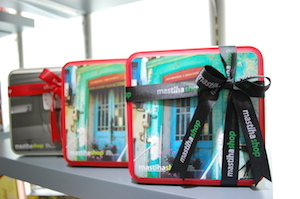 Mastihashop, offers clients the perfect bite, the perfect gift and a cosy hangout for coffee, is located in the Aswaaq Building in Jumeirah 1, Al Wasl Road.The outlet also offers beautiful gift hampers for all occasions and for corporate gifts that can be branded with the individual company logo. Diva is excited – for two years in a row the Millionaire Group has supported the Dubai International Boat Show and the 22nd edition of the show opens tomorrow, providing a wide range of activities including exciting prize giveaways, live entertainment, and exclusive dining experiences, along with convenient parking and public transportation. The show will be held from 4-8 March 2014 at the Dubai International Marine Club – Mina Seyahi. I met with the key organisers and sponsors last week at DIMC and they mentioned that more than 26,000 visitors from the 70 countries are set to attend the region’s largest marine leisure exhibition. Visitors can expect to be enthralled by the 430 boats on display, including 19 superyachts at the stunning outdoor Marina Display Area. The SYBAss Lounge, which falls under the umbrella of the prestigious Superyacht Builders Association (SYBAss), has 10 members confirmed to participate at the event. I can’t wait to take Tash to the show again as being half an islander, she shares my passion for the sun, sea and sand, Fiji style. Especially since two of the largest superyachts in the history of the Dubai International Boat Show will be showcased on outdoor Marina Display Area. The 88.5-metre-long superyacht Nirvana, built by Oceanco and exhibited by Edmiston, is one of the world’s top 50 longest superyachts and the exhibition’s largest-ever superyacht to date. The 88 metre Quattroelle superyacht, built by German shipyard Lürssen, will also be showcased this year. The luxury superyacht features elegant accommodation for up to 12 guests and provides plenty of exterior deck space for entertainment and relaxation. The show will host 42 global and regional launches including regional launches of the 13.5-meter Cranchi, an 11-meter boat from Christ Craft, the 12-meter Everglade by Gulf Yachts, the 8.9 meter Qs855 Activ from Delma Marine, amphibious quad skis from Gibbs Sports, and the first-ever amphibious ribs from ASIS Boats. My favourite people from the Al Shaali families will be there in full force. Watch out for Gulf Craft and As Marine – they are super nice people and Erwin Bamps from Gulf Craft is always the person in the know about what the local boat makers have in store for the boating enthusiasts. Of the show’s 750 exhibiting companies and brands from 50 countries around the world, many are putting an increased emphasis on small to medium sized boats, speed boats, and jet skis for visitors looking to pursue leisure marine activities. Thrill-seekers can explore jet skis and diving equipment, along with countries promoting their destinations for boating, jet skiing, snorkelling and diving. The event will be open to trade visitors and the general public from 3 pm – 9:30 pm daily, with admission of AED 60….see you there. I saw some amazing dresses yesterday at the 15th Women’s Exhibition organised by a good friend of mine, Thoraya Al Awadhi at DWTC. The designer reiterates that each of her pieces are handmade with love in Dubai – Mariam Fashion Design fuses Eastern traditional wear with the latest trends in Western fashion and they were really colourful. Each unique piece is designed for the modern, cosmopolitan woman. They design practical, yet feminine pieces that preserve the charm of the region’s old heritage. Check them out as the exhibition is open until 10pm today. There is a fashion show at 4pm as well! It’s the time of the year when preparations have begun for the awesome Women’s exhibition we have been enjoying the last few year thanks to Thoraya Al Awadhi, Founder and CEO of Thoraya Al Awadhi Group of Companies. The realization of a vision comes to life with Women Entrepreneurs, Trailblazers and Industry Supremes coming together in a celebration of ingenuity…. hence this is an ideal platform to participate in the “15th Women’s Exhibition” to be held on October 31 to November 03, 2013 at the Dubai World Trade Center, Zabeel Hall 2. This year’s 15th Women’s Exhibition will continue in the fashion of the previous 14th Women’s exhibitions, however on a much larger scale, with over 100 stands for exhibitors to showcase their products and services from the region and abroad. This year’s sector variety is also expanded to include fashion, jewellery, spas and wellness to travel agencies, financial services, medical supplies and health products in addition to many other sectors. Personally I have enjoyed the exhibitions tremendously and have always commended the work Thoraya does to elevate the women, be they entrepreneurs or women already in business or any organization whose target happens to be women. The ambience is always fun, friendly and you feel like its more a festive atmosphere than an exhibition for visitors, hence the excitement in visitors and exhibitors returning year after year. Have you have the chance to visit any of the Sacoor Brothers stores yet? If not, you better hurry and get yourself a classy and super sophisticated fashion fix. Sacoor Brothers is little diva’s fashion fix. I love the stuff but my voluptuousness somehow is not suitable for most of their cuts so i just make do with their awesome accessories. If you have a figure like Mademoiselle NJD, head out there. Whether it’s for the office or a relaxed Friday with friends and family, Sacoor Brothers offers you the right outfit for any occasion!… Wish I could fit into them as easily as NJD. See some of my favourite pieces below. Mouawad’s skilled awesome artisans have come up a stunning nature inspired jewellery collection that evokes the hues and beauty of peacock plumes…the last time I saw a Mouawad piece was months ago so it was superb to see some new pieces from them this week. The new range of precious jewellery combines diamonds and multi-coloured precious gemstones and boasts a sophisticated chromatic effect. The new Peacock collection is perfect to complement and adds a touch of colour to any wardrobe during special Ramadan occasions. Released in limited numbers, the items of the new collection are all realized in 18K white gold and set with diamonds, citrines, sapphires, tourmalines and peridots. Matched in different combinations, the colourful stones create a graceful medley of bright white, deep blue, dark green, warm red, pink-violet and golden yellow, recalling the tones of the peacock’s plumage. The Peacock collection captures the colourful splendour of nature’s most romantic bird in a striking and delicate range of bangles, earrings, necklaces, pendants and rings. Worn individually or combined to create a coordinated set, the pieces of the collection will grace a woman for every occasion and captivate during upcoming Ramadan social gatherings. With prices starting from to USD$ 6,950 to USD$ 47,200 the Peacock collection is available in all Mouawad boutiques across the GCC.